Asbestos is a naturally occurring fibrous mineral that was historically widely used in insulation and other building materials due to its heat and electrical resistance, and ability to withstand chemical degradation and wear. Asbestos is a significant health risk when inhaled, and can lead to asbestosis, lung and other cancers. 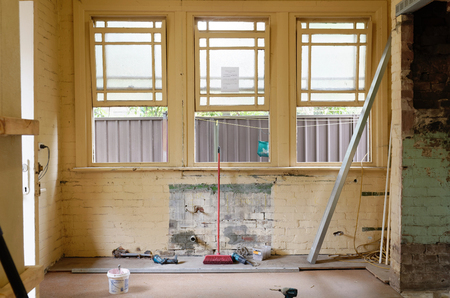 It is important to test any potential asbestos-containing materials before home or building maintenance, demolitions, and renovations to ensure all work is completed in a safe manner and in accordance with Ontario regulations. Our laboratory specializes in the quantitative analysis of asbestos-containing materials in bulk and air samples. We provide excellent customer service, high quality results based on accepted scientific methodologies, and fast turnaround times. LEX pioneered the analysis method of combining PCM & PLM analyses to provide a qualitative analysis of asbestos air samples when a sample has failed to meet abatement clearance levels. This additional level of analysis mostly leads to the sample passing the clearance levels, eliminating the need for further cleaning and testing. LEX is one of the few independent Canadian laboratories accredited under ISO/IEC 17025:2005 by the National Voluntary Laboratory Accreditation Program (NVLAP Lab code 101949-0) through the National Institute of Standards and Technology (NIST) for the identification of asbestos in bulk samples. We also participate in round robin testing with the Canadian Association for Laboratory Accreditation (CALA) for asbestos fibre counting in air samples. Accreditation to the ISO standards provides our clients with an assurance of accurate and legally defensible results. Please review our Sampling Guide for Vermiculite Insulation and Bulk Building Materials before submitting a sample to our laboratory. Our experienced and highly trained consultants provide a full range of services for the identification and management of asbestos-containing materials including asbestos surveys and site assessments, air monitoring, air clearance testing, and asbestos awareness and removal training. Let us help you manage the asbestos-containing materials in your workplace. Contact us or visit the Consulting Services section of our website for more information.